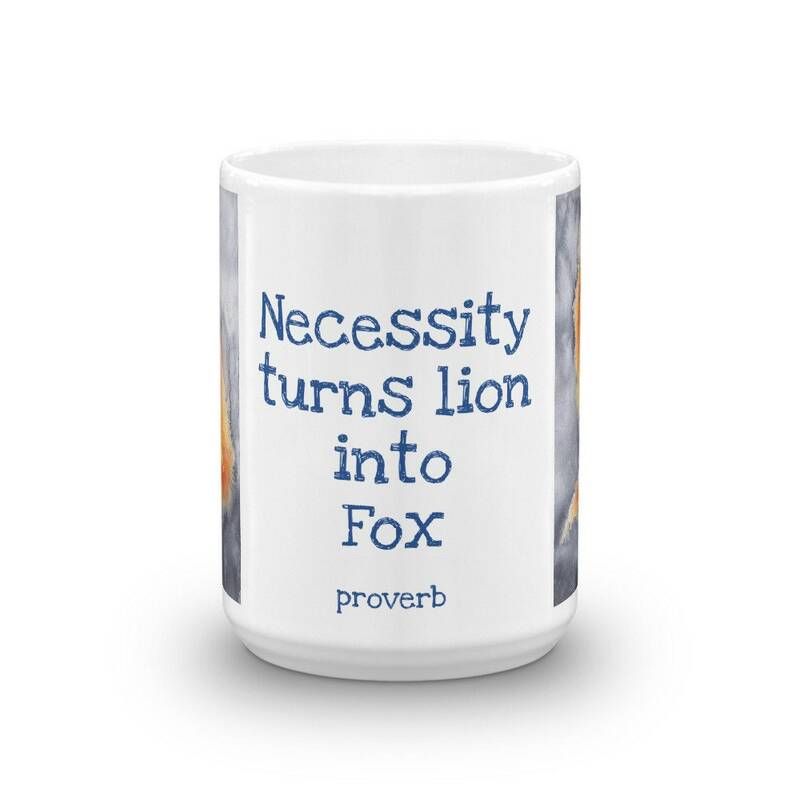 "Necessity Turns Lion into Fox"
The ability to be flexible can be the ideal stance in Life. 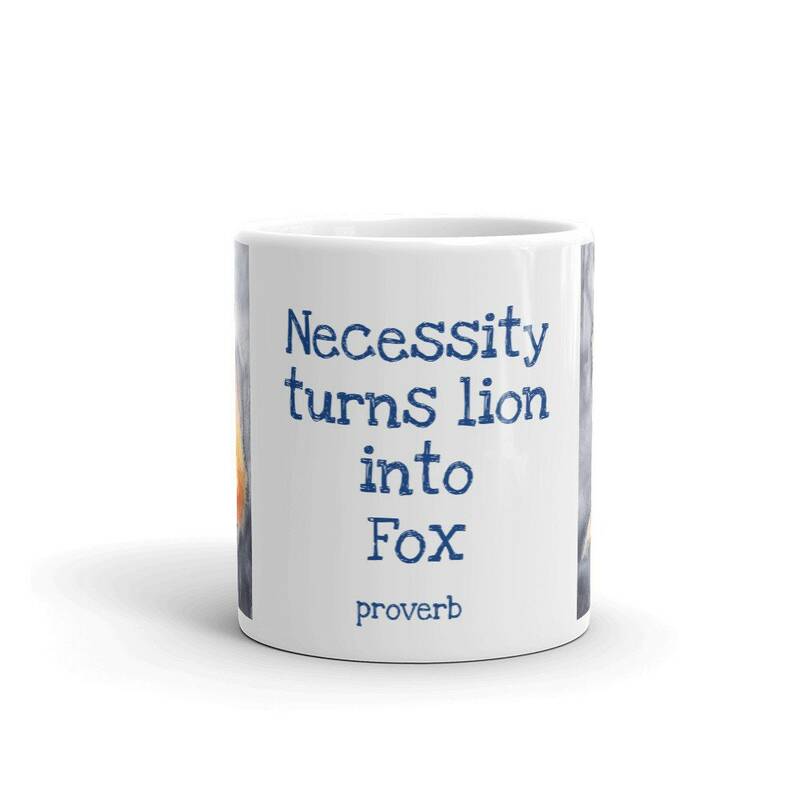 Having the strength of Lion and the cleverness of Fox can be useful when Life throws us curve balls. 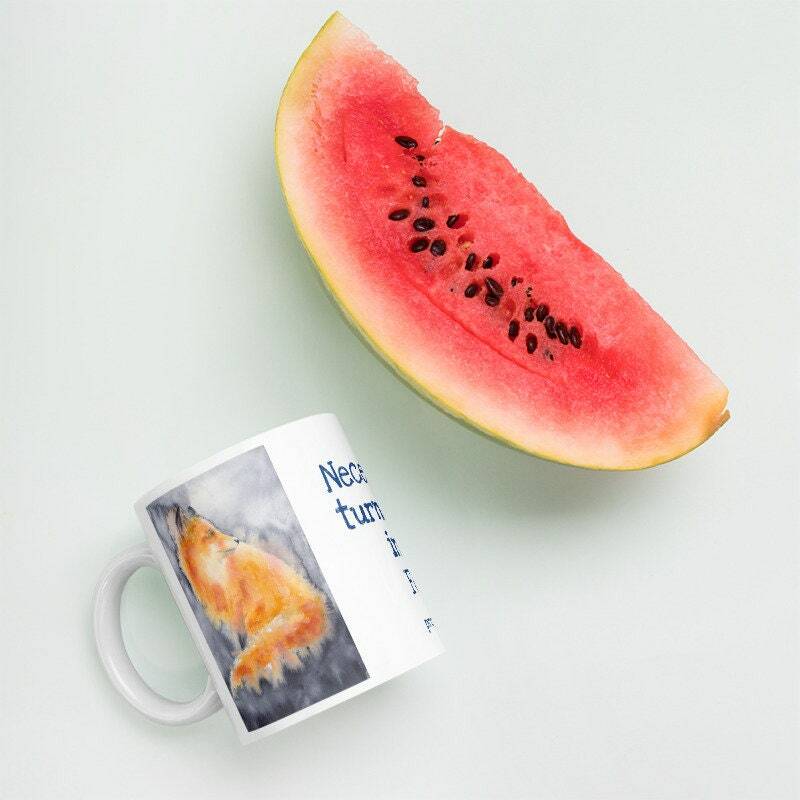 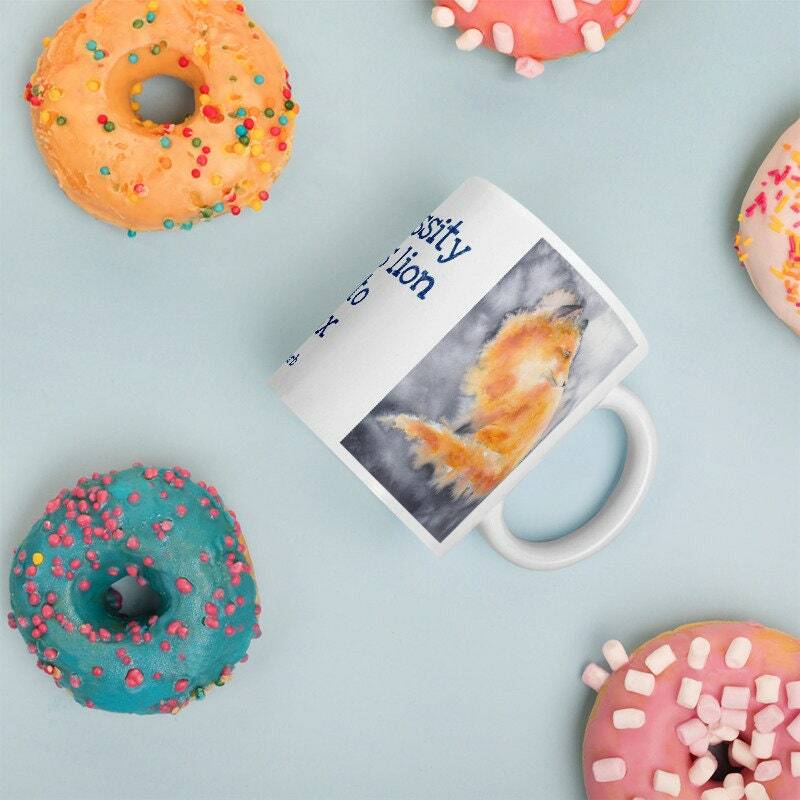 Whether you're drinking your morning coffee, evening tea, or something in between – this Fox mug is sure to put a smile on your face. 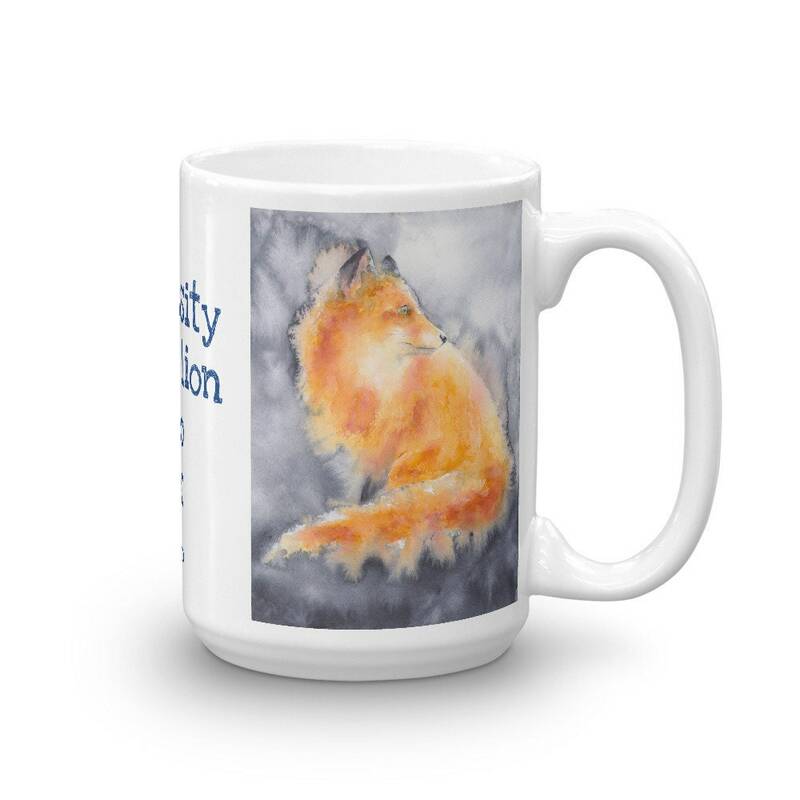 A beautiful fox image is printed on each side of the mug and a thought provoking quote is in between. 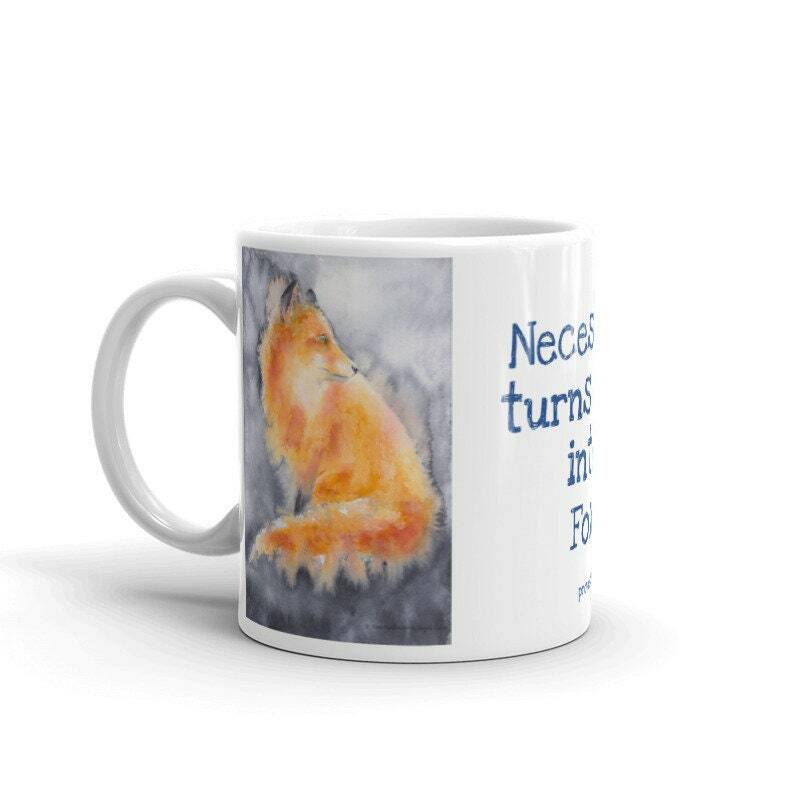 Mugs are made to order. 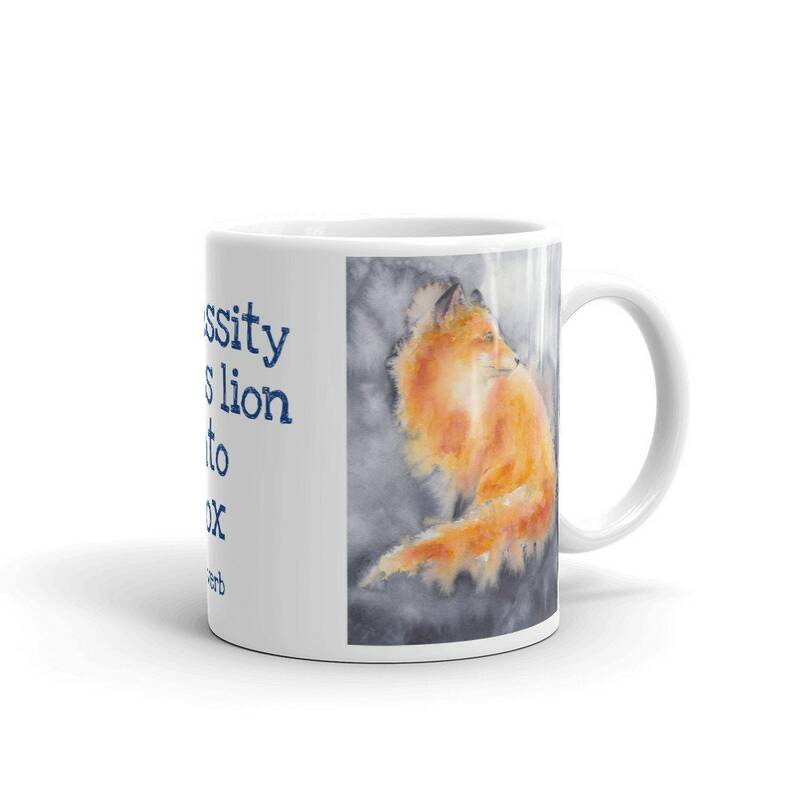 Please allow 7-10 days for your mug to ship.